Last of the Mohicans has received both positive and negative criticism for the picture Cooper painted of the American Indian. The plot of Last of the Mohicans centers on Natty Bumppo, a central figure of the Leatherstocking series. His character as the last uncorrupted white man who prefers the code of the Indian than the nature of the white settlers, who is loyal, courageous and a superb exponent of woodcraft struck a chord with contemporary Americans that still finds an echo today. It was written in 1826, and is an adventure set in the forests of North America during the Seven Years War (1756 -1763) between Great Britain and France. The plot revolves around the story of the stolid colonial scout Hawkeye, nee Natty Bumppo who, with his two Indian companions Chingachgook (the Big Snake) and his son Uncas, stumble on a party of British soldiers conducting two fair maidens to their father, the commander of British Fort. William Henry during the French and Indian War. Under the watchful eyes of the young British officer who has the girls in his charge and led by a Huron scout, Magua, the party appears, to the indomitable Hawkeye, to be at greater risk than they realize as they trek through the wilderness toward the safety of the girls’ father’s garrison. And, indeed, Hawkeye’s judgment is soon proved right as the scout Magua treacherously betrays the hapless girls in repayment, it seems, for a stint of corporal punishment inflicted on him previously by their absent parent. Since the Hurons, Magua’s native tribe, are culturally akin to the Iroquois who are the hereditary enemies of the Algonquin Delawares, from whom Chingachgook and his son hail and among whom Hawkeye has made his home and friendships, a natural antagonism has arisen almost at once between Hawkeye’s party and the Huron and this proves salutary, when danger finally strikes. Romantic Era and Fall of the House of Usher - Romantic Era and Fall of the House of Usher illustrates how Edgar Allen Poe's novel is symbolic for the fall of the Romantic Era in Literature. Romanticism - Romanticism research papers examine the movement that encompassed all of the arts during the first half of the 19th century. American Indian Language - American Indian Language Research Papers discuss the unique writing system of the American Indian Language. A Pueblo Indians of New Mexico - American Indian Identity Research Papers examine the 'loss of identity' of the Native American people. Bureau of Indian Affairs - Bureau of Indian Affairs research papers examine a federal agency that is responsible for administering and managing more than 55 million acres of land that the U.S. government holds in trust for the many Native American tribes. Art of Story Telling Among Native American Tribes - Art of Storytelling Among Native American Tribes research papers go into a paper order with specific requirements on Native Americans Storytelling. Native Language - Native Language Custom Research Writings look into how native language is the general basis for an individuals cultural or sociolinguistic identity. Native American Poetry - Native American Poetry is a broad category of literature that includes the written and spoken words of countless numbers of people who, prior to the colonization of North America by the Europeans, inhabited the continent. Lakota Woman - Lakota Woman Research Papers discuss the life of a Native American girl during the 1960's and 1970's. Spider Woman's Granddaughters - The usual findings in Native American literature are the stories of great Indian chiefs and warriors. 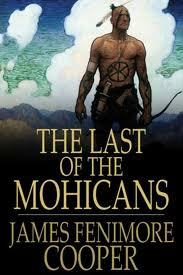 Paper Masters writes custom research papers on Last of the Mochicans and delves into a book by James Fenimore Cooper about an adventure set in North America during the Seven Years War.